I recently spoke at the Morgan White Leaders’ Conference at the Ritz Carlton in Coconut Grove about current technologies and strategies for partial and total knee replacements. While not my typical audience of physicians and surgeons, this group included independent insurance agents, brokers and medical directors from the Bahamas, the Caribbean and Central America. Part of my talk focused on the benefits of robotic-assisted partial knee surgery. 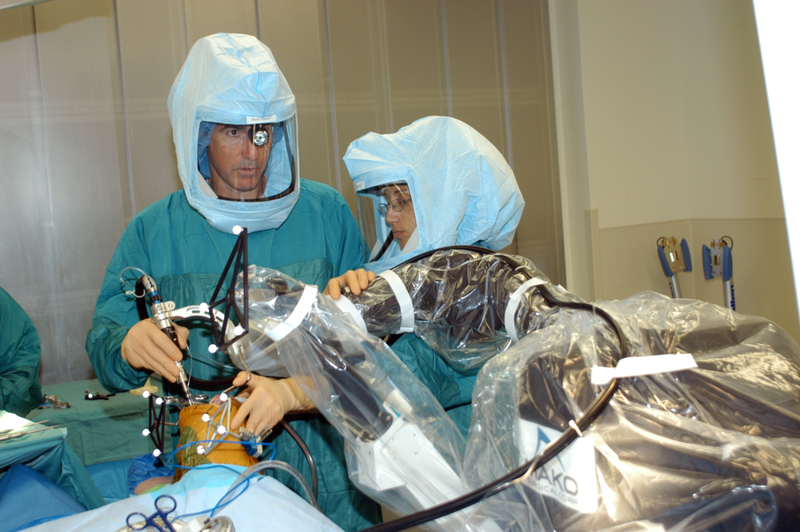 During this type of surgery, a robot not only acts as an extension of a surgeon’s eyes and hands, but the robotics help surgeons operate more effectively through a smaller incision. When used for the right indications, the benefits of robotic-assisted surgery include less scarring, destruction of soft tissue and blood loss, as well as a shorter hospital stay and more speedy recovery. 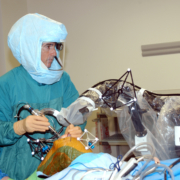 As technologies improve, the robotic guidance system is being used more frequently for partial knee replacement surgeries. The knee joint can be thought of as having three compartments: the medial compartment (inside the knee), the lateral compartment (outside the knee) and the patellofemoral compartment (in front of the knee). The most common area for degeneration is the medial compartment. Although the arthritic process typically starts in one compartment, with time it progresses to the other compartments. Many agree this is part of the reason why so many patients report that their replaced knees feel normal after the surgery. Also, because the dissection is limited and the cruciate ligaments are not removed, knee movements are not altered so the knee moves naturally. Historically, only people of optimal weight, minimal activity, or those who were considered “old” were deemed as candidates for partial knee surgery. Times have changed. 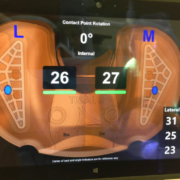 Today, patients who are considered good candidates include those whose degeneration is limited to one or two compartments and have a good range of motion with minimal deformity prior to surgery. In addition, age no longer matters and weight is not the deciding factor it once was. 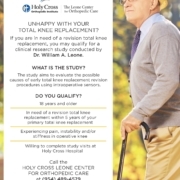 Over the years, I’ve treated many patients with partial knee replacement who were at a less-than-an-optimal weight. 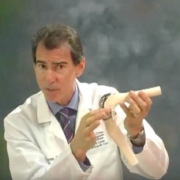 Previously, partial knee replacements have not had as robust a track record as total knee replacements because they are technically more difficult to perform and less forgiving if the surgeon doesn’t achieve optimal alignment and soft tissue balance. 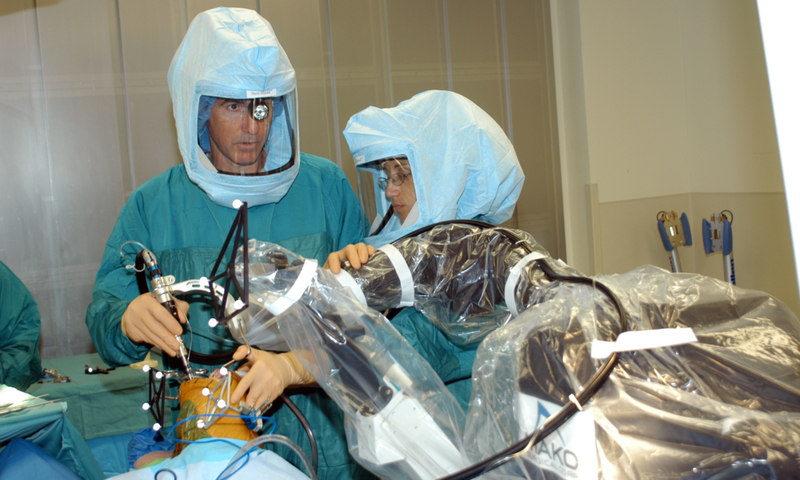 In my opinion, robotic assisted surgery has become the “game changer” because these goals can be accomplished more predictably and precisely. Currently, robotic assisted partial knee replacements are not being performed anywhere in the Caribbean, or in Central and South America. They only are being performed in select centers in the U.S. and in Europe. This conference was an opportunity for me to explain to this group that handles patient referrals how robotics and computer navigation has revolutionized partial and total knee replacement surgery. The “art” is in choosing the right patient with the appropriate knee problem for this surgery. Personally, I prefer partial knee replacements when all of these conditions are met because patients get well much more quickly and report feeling so much better. 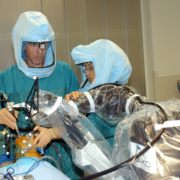 Thanks so much for sharing all of this information about robotic assisted knee surgeries! It is so great that this technology helps make it easier for surgeons to perform partial replacements that only remove the damaged ligaments and bone. And I agree that this type of procedure needs to be shared with medical professionals across countries. After all, it’s important that everyone around the world can get the best procedure possible!